After a one moth pause I'm finally back with new interviews! Today I'm bringing you Gaby Triana, the author of Wake the Hollow and other amazing books. She was so lovely as to take some of her time to answer my questions for you guys. 1 – Describe Wake the Hollow with a haiku. I’m not much of a poet but how’s this? 2 – What was the first initial thought or thing that sparked the idea of Wake the Hollow? 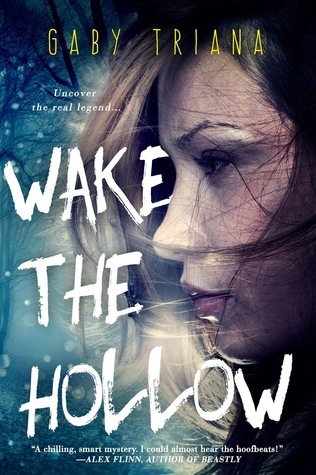 And in what way do you think does Wake the Hallow stand out and offer something that should make readers even more interested in it? The Disney short film, The Adventures of Ichabod and Mr. Toad, was one of my favorites growing up. I used to show this in my classroom to all my students too when I was a teacher. I loved the autumn vibe and spooky feel, and I loved reading “The Legend of Sleepy Hollow” and discovering that it wasn’t so much a story about the Headless Horseman as it was about a love triangle. I thought how cool would it be to write a modern-day version through the POV of Katrina Van Tassel, only in my book she’s Micaela Katerina Burgos. My book stands out in that it’s not a straight retelling of an old classic. It’s a reimagining with a modern mystery crime twist, where the ghosts are spirit guides and the real live people are the ones we should fear. It also features a Cuban-American character in a tale as American as apple pie. 3 – What was the most challenging about writing Wake the Hollow and which scene was the most fun to write? The research was challenging. There was a lot to learn about classic author, Washington Irving, who features in his own story’s retelling. Also, evoking a spooky feel in first person POV was challenging, because I wanted to vividly describe the entire town while still staying true to “teen think.” The chase through the cemetery is one of my favorite scenes. Also the one at the safe deposit box at the bank. 4 – What do you like most and least about your main character, Micaela? What I like the least is that she didn’t bother to learn more about her mother before she left town six years earlier. She could’ve learned a lot about her heritage at that time, but what I love is that she redeems herself throughout the book and grows closer to her mother even after death. It’s never too late to change ourselves. 5 - How long did it take you from first idea until publishing deal? This book took me the longest, because it was conceived, written, shopped, rejected, then…it sat around collecting dust. Revived. Revised multiple times, shopped again, and overall it took 7 years from idea to publishing deal. 6 - How do you feel about the fact that in only a few more weeks (August 2nd) hundreds of readers will be able to hold and read your novel? I’m probably going to cry, because this is my favorite of all my books. I’m a big Halloween freak, so it’s the one that allowed me to write what I love, which is a good ghost story. For a while, I thought it would never be published, but I kept the faith, and now everyone will get to read it. 7 – What led you to writing and wanting to be an author? Is it the way you imagined it would be? I’ve been writing stories since I was in 3rd grade. It was always a natural progression for me. I won writing contests in high school and always wrote, even though I went to college to become a teacher. In that way, I felt I had sidetracked myself, but I was always slow in figuring out what I wanted from my life. Now I live the dream of writing every day for a living. 8 – What do you think about the cover? Is it anything like you imagined it being? The cover is the farthest thing from what I ever imagined. I always thought there would be darker black and orange tones with a headless horseman in a forest or something. When I first saw it, I thought it was beautiful but was concerned about how it would tell the story within. Then I realized it doesn’t need to tell the story within, it just has to capture your imagination, and I feel it does exactly that. It’s GORGEOUS! 9 – Book adaptations – movie or TV series? Definitely a movie! This is a story that is told in one powerful burst, not spread out. That said, I can see a sequel being told in segments over time. Write every day. Write even if it’s terrible, because you can always go back and fix it, but the important thing is that you got it down. Don’t judge yourself as you go, just tell a story, and always, always revise and revise before you share. That’s the point of writing versus talking. You don’t have to get it right the first time. The ability to destroy hatred. Imagine what a wonderful world we would live in. GABY TRIANA is the award-winning author of six YA novels—Wake the Hollow (Coming 2016), Summer of Yesterday, Riding the Universe, The Temptress Four, Cubanita, and Backstage Pass, as well as thirteen ghostwritten novels for best-selling authors. 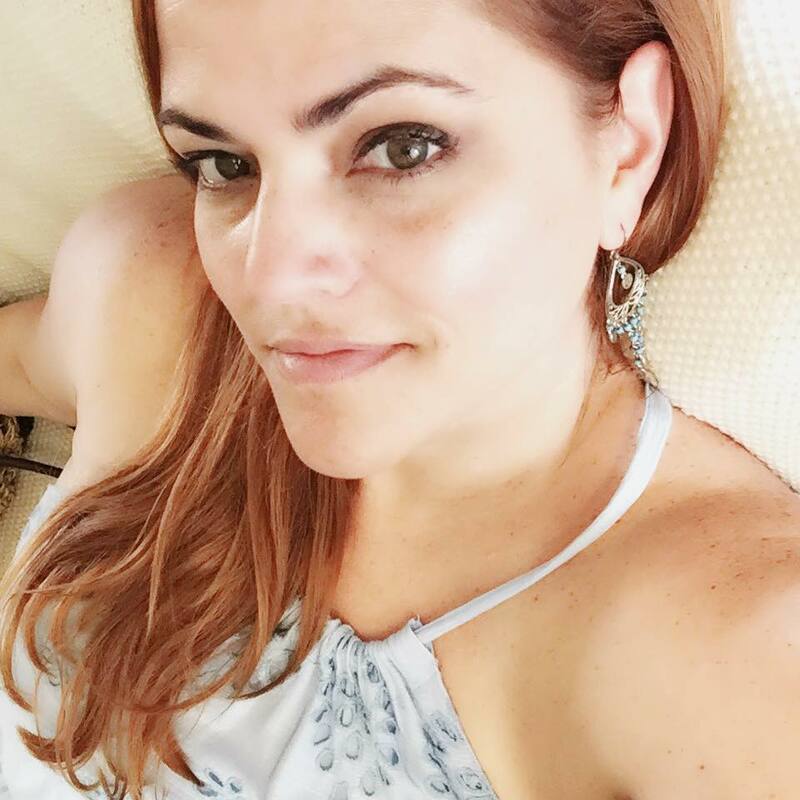 Originally a 4th grade teacher with a Master of Science in Elementary Education and ten years teaching experience, Gaby earned Teacher of the Year in 2000, wrote her first novel, Freddie and the Biltmore Ghost, then left teaching to launch a full-time writing career. She went on to publish young adult novels with HarperCollins and Simon & Schuster, win an IRA Teen Choice Award, ALA Best Paperback Award, and Hispanic Magazine’s Good Reads of 2008. She spends her time obsessing about Halloween, Christmas, and Disney World, as well as hosting parties, designing mugs, making whimsical cakes, and winning costume contests. When she’s not writing, she might also be watching Jurassic Park movies with her boys, posting excessive food pics on social media, or helping run the Florida region of the SCBWI. Gaby lives in Miami with her three sons, Michael, Noah, and Murphy. She has one dog, Chloe, and two cats—Miss Daisy, and the reformed thug, shooting survivor, Bowie. Visit her at www.GabyTriana.com.